(CNN) – Anti-tax crusader Grover Norquist said the latest Republican to suggest a break with a pledge to oppose any tax increase is a promise broken to his constituents, not him. "If he wants to change his mind and become a tax increaser so we don't have to reform government, he needs to have that conversation with the people of Georgia," said Norquist appearing on CNN's "The Situation Room" Friday of Sen. Saxby Chambliss' recent move away from the no-tax pledge. (CNN) – First lady Michelle Obama, along with daughters Sasha and Malia and dog Bo, received the official White House Christmas tree Friday. The 19-foot Fraser Fir will be on display in the Blue Room throughout the holiday season, according to the White House. The tree was selected in October and harvested this month from a farm in North Carolina. 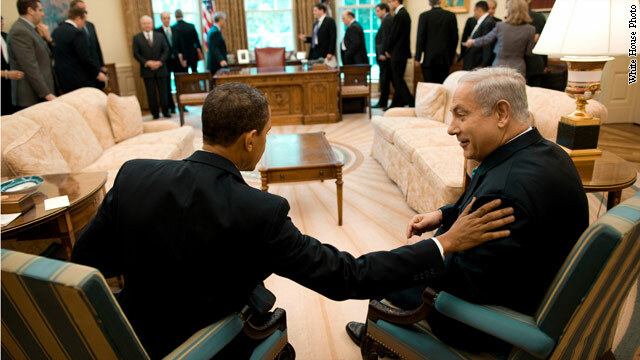 What is the future of the Obama-Netanyahu relationship? (CNN) - Amid the flurry of diplomatic congratulations over the maneuvering that led to a cease-fire between Israel and Hamas this week, the dual readouts of the roles played by President Barack Obama and Israeli Prime Minister Benjamin Netanyahu contained some interesting language. A written statement detailing the telephone conversation between the two after an agreement was reached included the usual language of maintaining the U.S. commitment to Israeli security. But the White House also said that Obama "commended the prime minister for agreeing to the Egyptian cease-fire proposal – which the president recommended the prime minister to do." 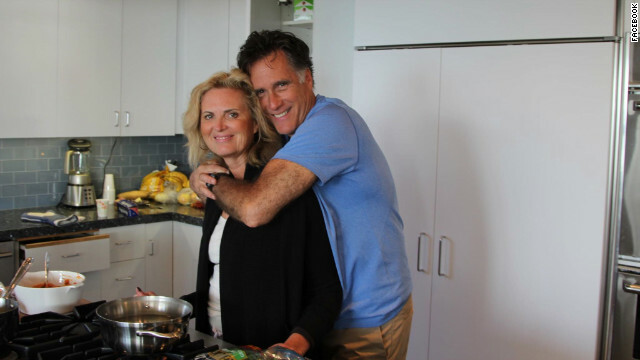 (CNN) - Casting aside his typical campaign attire of suits or shirts with rolled up sleeves and well-coiffed hair, a photo appeared on Mitt Romney's Facebook Friday with the 2012 GOP nominee donning a t-shirt and hugging his wife, Ann, in the kitchen. "Hope everyone had a great Thanskgiving! Much to be thankful for this year," the caption read. With the exception of a recent trip to Disneyland, Romney has largely stayed out of the public spotlight since losing the election earlier this month. 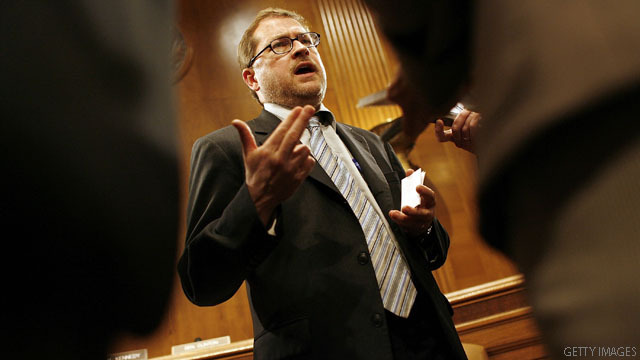 Grover Norquist, who heads Americans for Tax Reform, lobbies Congressional Republicans to promise not to raise taxes. Washington (CNN) - Nothing riles up the tea party chattering class like a broken pledge against raising taxes. Just ask Sen. Saxby Chambliss, a veteran Georgia Republican who this week turned his back on the Taxpayer Protection Pledge he signed years ago as a rite of passage of right-wing politics. (CNN) - Republican Rep. Michael Grimm of Staten Island said the destruction caused by Superstorm Sandy on Staten Island three weeks ago will last beyond the physical damage. "We're through the very first stage where a lot of people are in shock and don't even realize the magnitute and gravity of just how devasting this is," Grimm said Friday on CNN's "Starting Point." (CNN) - Actor James Spader, while talking about his role as W.N. Bilbo in the new movie "Lincoln," said partisanship in American politics had a different look during the Civil War era. "You not only were contending with people across the aisle, there was tremendous argument and discourse within your own party, which in a way I think felt even more democratic. Because argumentative discourse and eventual compromise is the best that a democracy can be," he said Friday on CNN's "Starting Point." 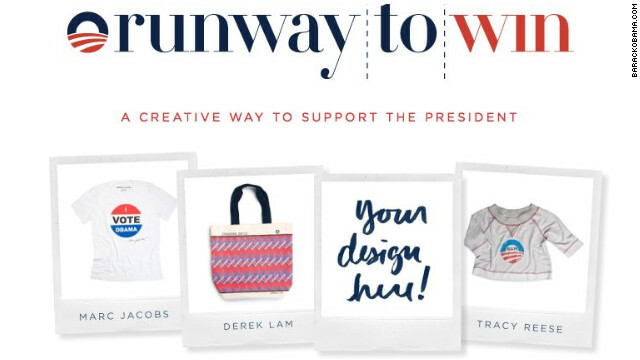 (CNN) - While President Barack Obama's re-election campaign took heat for launching a high-fashion clothing line as a fundraising tool earlier this year, it turns out the move may not have been such a far-fetched idea. The Obama team's campaign manager, Jim Messina, recently said the line ultimately brought in "just north of $40 million"–a notable chunk of the more than $644 million raised by the campaign. 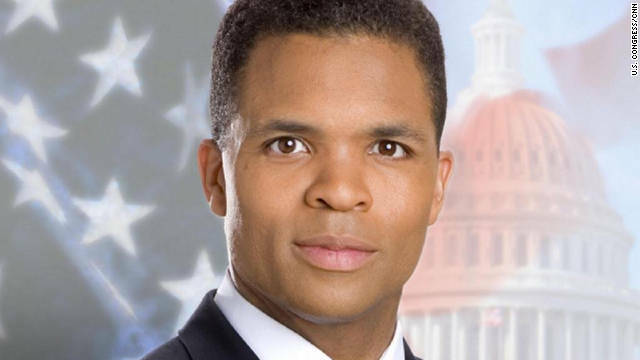 Chicago, Illinois (CNN) – Congressman Jesse Jackson Jr. of Illinois resigned from office Tuesday, ending months of speculation about his future. Jackson has not been seen in public since he took a leave of absence in June to get treatment for severe bipolar depression. Filed under: 2012 • House • Illinois • Jesse Jackson Jr.
After a heated campaign season, lawmakers expressed gratitude in their Thanksgiving remarks but not without the political undertones of an economy limping back to life and impending fiscal crisis. In their weekly addresses, both sides first thanked members of the military serving abroad and those on the East Coast still suffering in the aftermath of Superstorm Sandy. A top Republican U.S. senator brushed off the anti-tax pledge pushed by activist Grover Norquist and embraced widely for years by GOP lawmakers. "I care more about my country than I do about a 20-year-old pledge," Sen. Saxby Chambliss told Georgia television station WMAZ, a CNN affiliate, on Wednesday. "If we do it his way, then we'll continue in debt and I just have a disagreement with him about that."